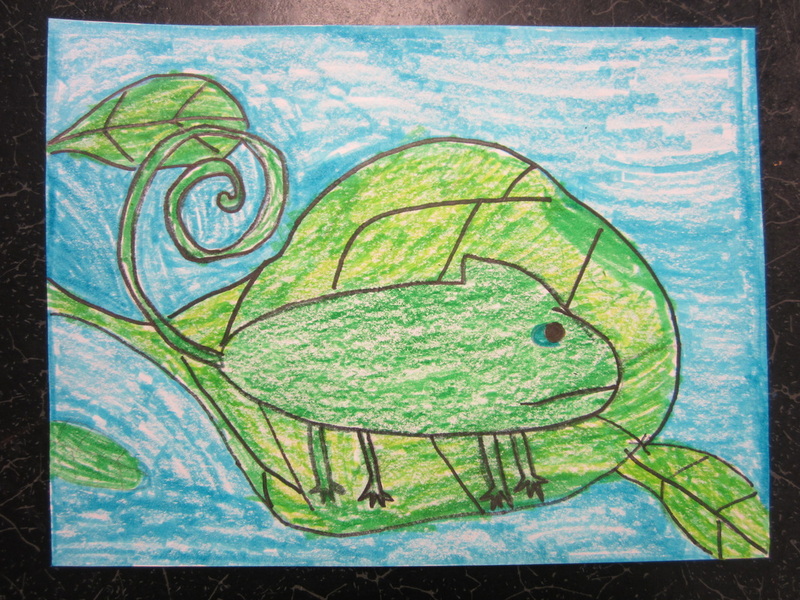 Objective – The students will be able to draw a chameleon with pattern and line. 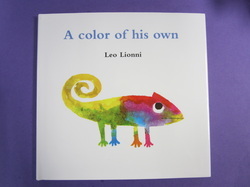 Procedure – Read the book A Color of His Own by Leo Lionni. Discuss the importance of being original and confident in your work. This is also a book to use for discussion of acceptance of difference and diversity. Model drawing the chameleon and placing him in different environments. Students can draw patterns and shapes on the chameleon. Materials - White paper, crayons or watercolor.